In the United States alone, 2 million patients contract infections from superbugs; 23,000 people die from those infections. Goldman Sachs economist Jim O’Neill estimates that by the year 2050, more people will die from antibiotic-resistant bacterial infections than from cancer. “The body becomes an incubator for resistant bacteria,” explains Diane Abensur Bessin, CEO of Nanosynex, an Israeli startup working on a novel approach to help physicians avoid mis-prescribing antibiotics. 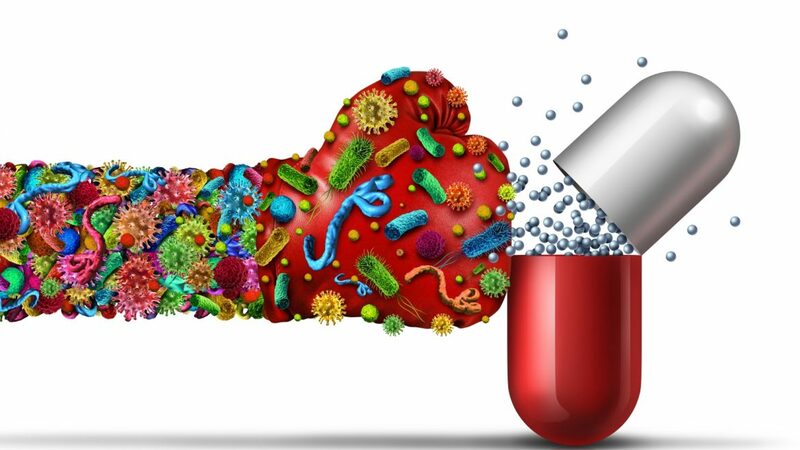 “If we give a patient the correct treatment at the right dose, then no resistance will be created, the patient will be cured faster, and other patients won’t be infected by resistant bacteria,” Abensur Bessin tells ISRAEL21c. Nanosynex’s solution is a diagnostic test that determines which bacteria in a patient’s body are resistant to which antibiotics – all in just four hours. That compares favorably with the day or two or more required for traditional diagnostic tests. The result: physicians can more quickly prescribe the antibiotics that will work. This will entail some change in behavior among doctors, who tend to prescribe a broad-based treatment rather than taking blood or urine and waiting for results. It’s not that physicians are in cahoots with the bad bacteria; their patients come in suffering and doctors want to provide fast relief. “But every minute counts when you’re dealing with resistant bacteria,” Abensur Bessin tells ISRAEL21c. If you don’t get your test results back for a couple of days, it may already be too late to stop resistance from developing. Antibiotic overprescribing is a particular problem in primary care, where it’s viruses – not bacteria – that cause most infections. About 90 percent of all antibiotic prescriptions in the US are issued by general practitioners. Nanosynex is creating a kit that will be sold to laboratories; it contains disposable cards, a fluorescent reading device and software to do the analysis. 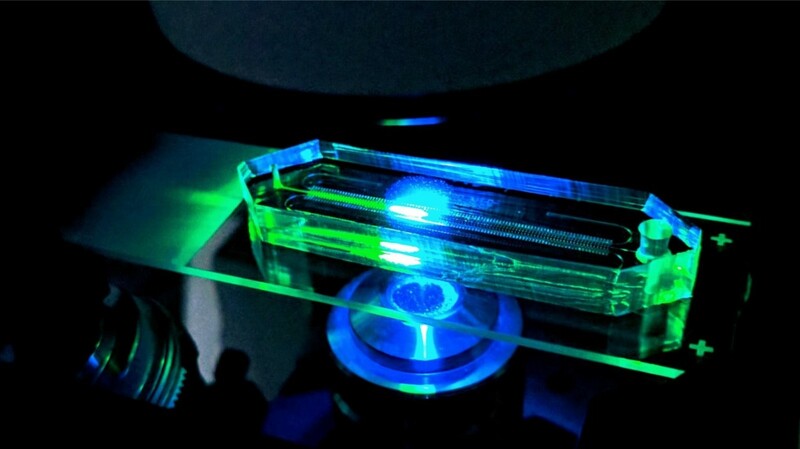 The technology is based on “microfluidic” features, requiring a smaller quantity of bacteria than other testing technologies, Abensur Bessin explains. The sample is mixed with a fluorescent dye; the intensity of the fluorescent signal is proportional to any bacterial growth. 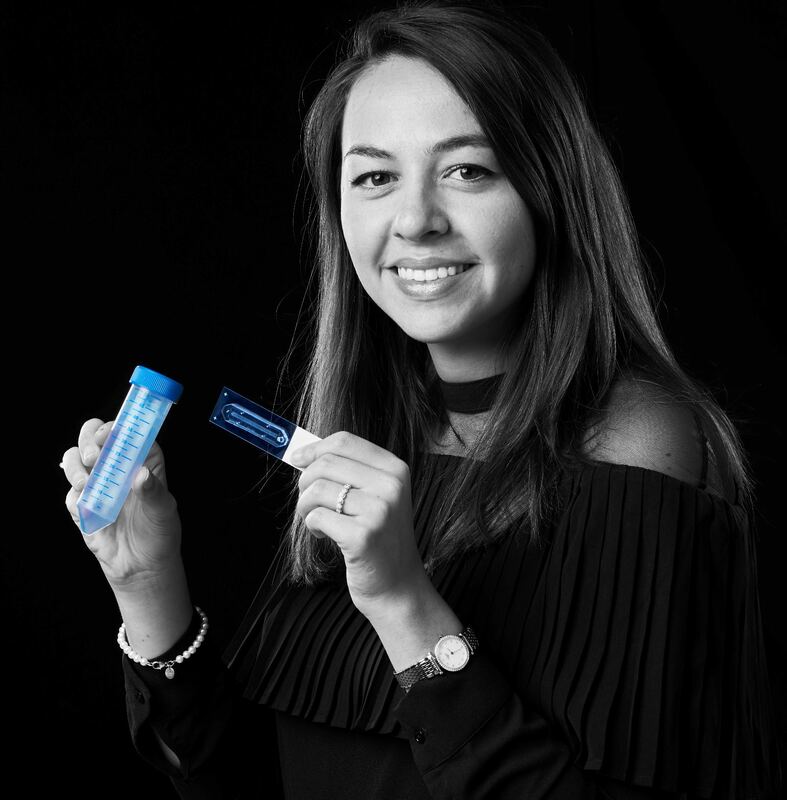 Abensur Bessin came up with the idea for Nanosynex along with her co-founder, Brazilian native Michelle Heyman, while both were studying for their MBAs at the Technion – Israel Institute of Technology. The two approached the university’s technology transfer office and asked which researchers had technologies that were mature enough to be turned into a company. That’s how the two were introduced to Prof. Shulamit Levenberg, dean of the Technion’s biomedical-engineering faculty. Levenberg and her team had already been working for several years on the microfluidic “chip” that would become the basis of the Nanosynex kit. Paris-born Abensur Bessin was particularly interested in identifying a medical technology to build a company around. Her father has a firm in France that distributes diagnostic tools across Europe. With the marketing channels already in place, Levenberg’s invention was a match. 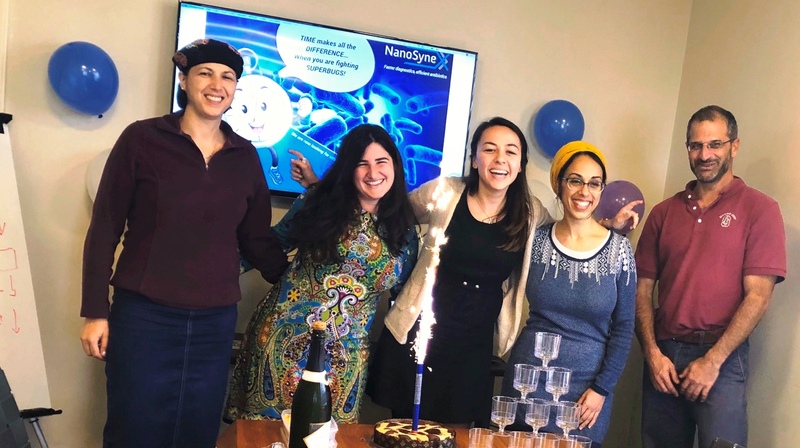 Nanosynex incorporated in 2017 and has raised $1 million with another $500,000 pledged from the Israel Innovation Authority. The five-person company is operating out of the Technion’s in-house accelerator but will be moving to its own offices soon. In 2018, Nanosynex was one of 10 companies accepted into IBM’s Tel Aviv-based accelerator for healthcare startups. The company receives blood for testing from Rambam Healthcare Campus in Haifa and Shaare Zedek Medical Center in Jerusalem. The head of Rambam’s microbiology department is on Nanosynex’s scientific advisory board. In the meantime, if your doctor tells you to wait a few hours before he or she prescribes an antibiotic, don’t become too anxious: it will be for the good of your health — and the wellbeing of the entire planet.